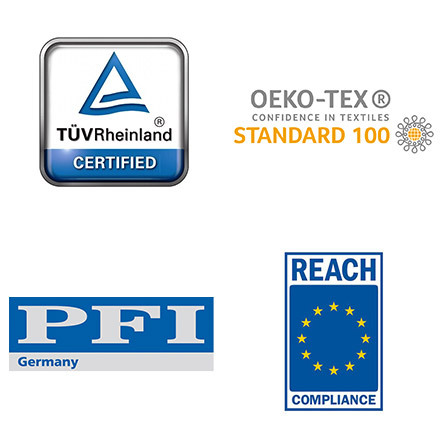 The activity of Portico Ltd. is certified by TÜV Rheinland according to ISO 9001:2015. We put great emphasis on environmental awareness. Our products are certified by Ökotex 100 and they reach the REACH requirements. The chemical, physical, and microbiological properties of our products are certified by PFI (Pirmasens) according to valid standards.